Spring is here! And that means staff at Mass Horticultural Society are busy working in the greenhouse to get the gardens ready for the visitor season, which opens officially on Friday, May 3rd! Volunteers will help our horticulturists with seed starting and early seedling care, potting and repotting of plants, plant propagation, and care and maintenance of annuals and perennials. There is a LOT to learn from working with us in the spring to help get the gardens ready for the next season! And your help is vital to the success of the gardens! For most of our greenhouse volunteer opportunities, no experience is needed - we provide on-site orientation and training. It's a fun way to learn through service, meet new people and care for our environment. 1. Sign up for a shift below. You will receive email reminders and notifications about your shift. As a courtesy to staff and others that may wish to sign up, please notify us (through Sign Up Genius or by email) of any cancellations 24 hours prior to your shift. 2. Some spots are designated for Mass Master Gardener Association (MMGA) Certified Master Gardeners (CMG) volunteers only. If you are not a master gardener, no fear! Please sign up for a slot that says "no experience needed - can be master gardener or non-master gardener" or "no experience needed - for non-master gardener volunteers only." And come, learn, and grow! 3. All volunteers are required to complete the Application and Release Form attached below and return it to [email protected] or bring it with you on your volunteer day. 4. Bring water and wear closed-toe, sturdy shoes and comfortable, layered clothes. 5. If you sign up as a volunteer for our Seed to Table Vegetable Garden, please note that on nice days in April we will likely take a walk to the Seed to Table garden. For Seed to Table volunteers, please come prepared to work either indoors or outdoors. We will always meet in Putnam at the start of the shift. If it is a nice day, we will head out to the gardens about 10 minutes after the start of the shift. Wear closed-toe, sturdy shoes and comfortable, layered clothes appropriate for the weather. Bring water, and if the weather calls for it, a hat and sunscreen. Please bring gardening gloves, pruners and trowel, if you have them. If you have/need a kneeling pad, please feel free to bring it. 6. Attached are directions to the gardens. Please park at and meet Hannah Traggis in the Putnam Building at the start of your shift. To get to the Putnam building, enter the Elm Bank Reservation off Route 16 onto Cheney Drive, crossing the bridge and veering right on the one-way road. Follow the road past all parking lots and soccer fields until the road comes to an end at the stop sign. Take a left at the stop sign and continue past the Mass Hort parking lot, keeping to the right, and the Putnam Building will be on the right after the greenhouses. 7. Have fun! Thank you for beautifying the gardens and for donating your time to support our mission! If you have any questions, please contact Amy Rodrigues, Volunteer Engagement Manager, at [email protected] or 617-933-4934 or 781-408-9174 (cell). The sign up creator has set a maximum quantity limit of 7 for this sign up. For current Seed to Table Garden Stewards - these spots are reserved for those volunteers specifically designated by Mass Hort as Seed to Table garden stewards. Assist Horticulture staff with tasks such as seed starting and early seedling care, plant propagation, care and maintenance of vegetable plants. No experience needed - can be master gardener volunteer or non-master gardener. For current Trial Garden Garden Stewards - these spots are reserved for those volunteers specifically designated by Mass Hort as Trial Garden garden stewards. 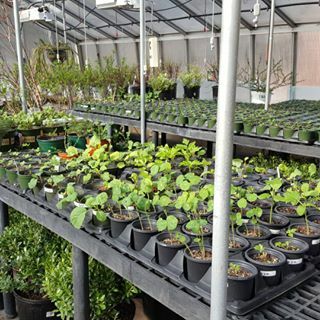 Assist Horticulture staff with tasks such as seed starting and early seedling care, potting and repotting of plants, plant propagation, care and maintenance of annuals and perennials. No experience needed - can be master gardener or non-master gardener. Assist Horticulture staff with tasks such as seed starting and early seedling care, potting and repotting of plants, plant propagation, care and maintenance of annuals and perennials. No experience needed - for non-master gardener volunteers only. Assist Horticulture staff with tasks such as seed starting and early seedling care, potting and repotting of plants, plant propagation, care and maintenance of annuals and perennials. For MMGA Certified Master Gardeners only. Assist Horticulture staff with tasks such as seed starting and early seedling care, potting and repotting of plants, plant propagation, care and maintenance of annuals and perennials. For MMGA Certified Master Gardener volunteers only. You have reached the quantity limit setup by the sign up creator. You are not allowed to sign up for more than 7 total items on this sign up .